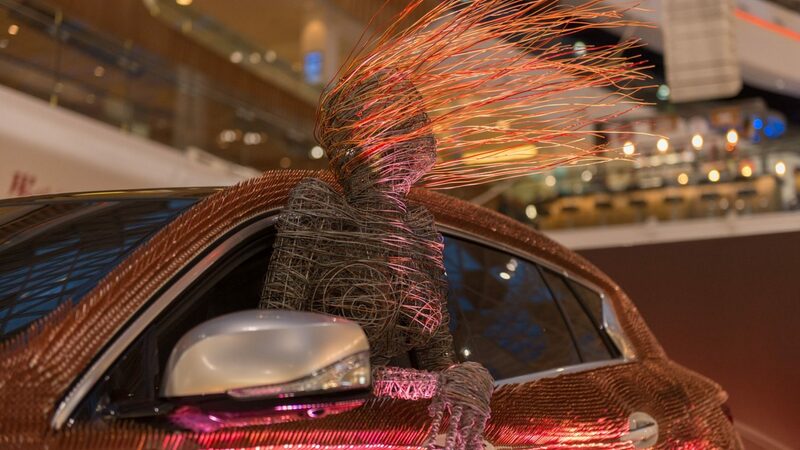 Discover the stunning INFINITI Q30 with an immersive exhibition that blends art, technology and automobiles. 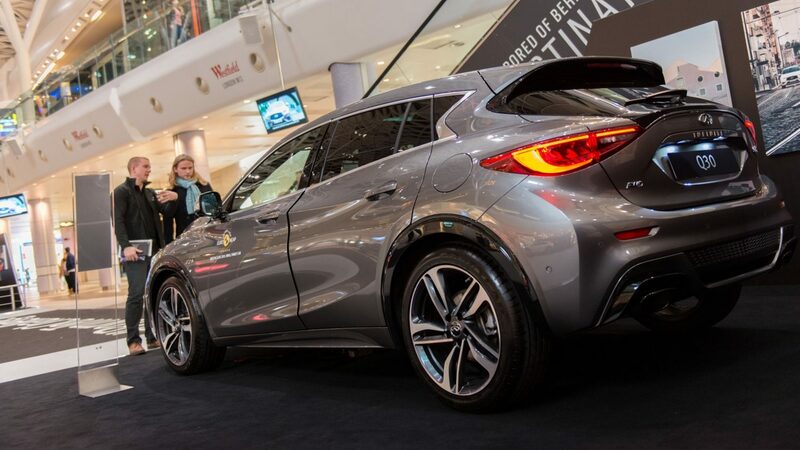 From Monday 8th February the INFINITI Gallery is open at Westfield London to showcase the recently released INFINITI Q30 – our first ever premium active compact. 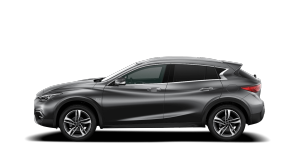 With a combination of impeccable craftsmanship and bold design, the Q30 blurs the lines between automobile and art. 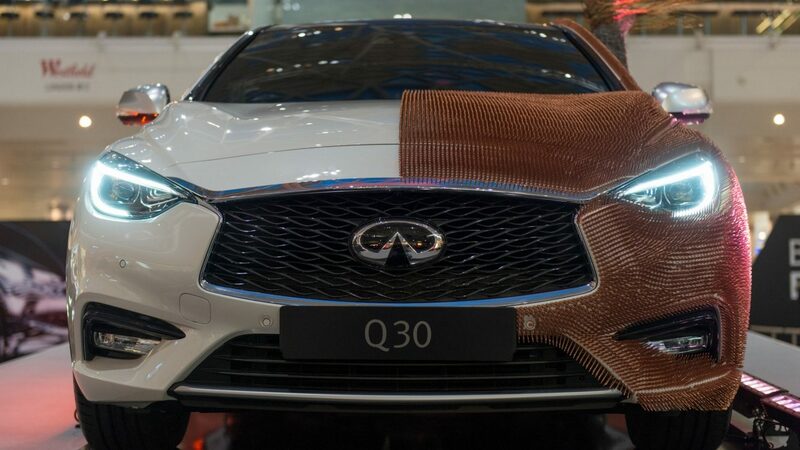 At the heart of the exhibition stands artist Rachel Ducker’s thought provoking take on the Q30, as seen at this year’s London Art Fair. This striking piece is surrounded by a display of images taken by influencers and instagrammers, who experienced the unique features of the Q30 on the streets of Lisbon. 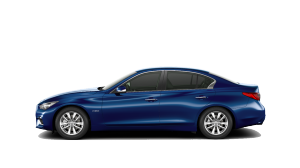 You can also experience the Q30 for yourself with a virtual 360 degrees drive around Krakow. 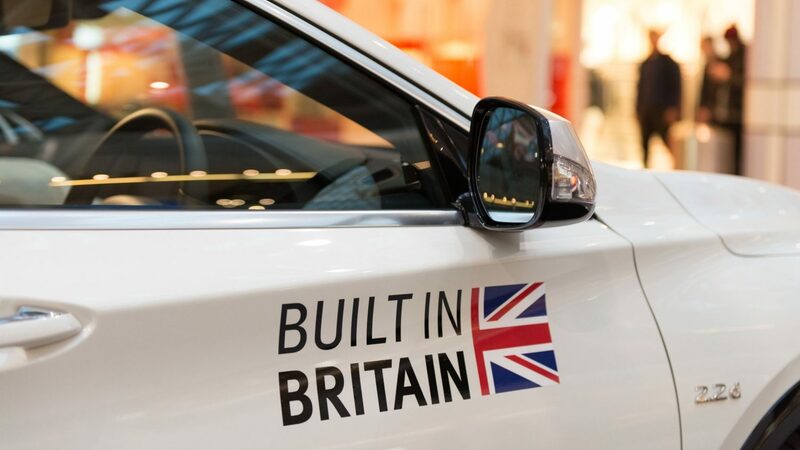 Then explore the finer details and craftsmanship of the car itself through our Augmented Reality app. 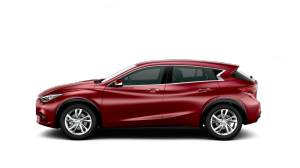 This immersive exhibition really takes your introduction to the Q30 to the next level. 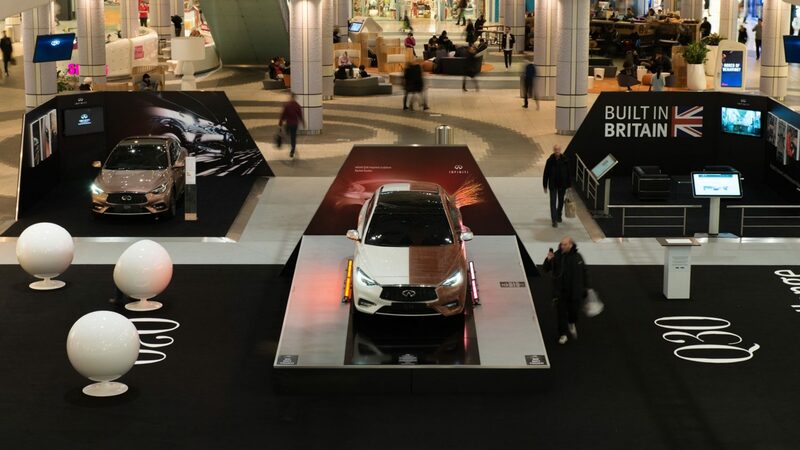 Discover the INFINITI Q30 Gallery in the Westfield Atrium until Sunday 14th February.